Box Text: An all-new Mario adventure-only on Wii U! 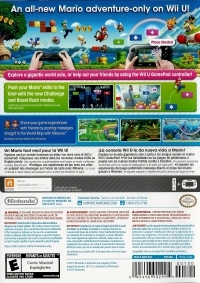 Explore a gigantic world solo, or help out your friends by using the Wii U GamePad controller! Push your Mario skills to the limit with the new Challenge and Boost Rush modes. Share your game experiences with friends by posting messages straight to the World Map with Miiverse. 05-22-2014 heavengeance Box Text An all-new Mario adventure-only on Wii U! Explore a gigantic world solo, or help out your friends by using the Wii U GamePad controller! Push your Mario skills to the limit with the new Challenge and Boost Rush modes. Share your game experiences with friends by posting messages straight to the World Map with Miiverse. 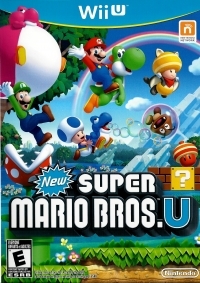 11-19-2012 st01c Box Text An all-new Mario adventure-only on Wii U! Explore a gigantic world solo, or help out your friends by using the Wii U GamePad controller! Push your Mario skills to the limit with the new Challenge and Boost Rush modes. Share your game experiences with friends by posting messages straight to the World Map with Miiverse. 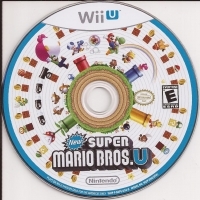 This is a list of VGCollect users who have New Super Mario Bros. U in their Collection. This is a list of VGCollect users who have New Super Mario Bros. U in their Sell List. This is a list of VGCollect users who have New Super Mario Bros. U in their Wish List.